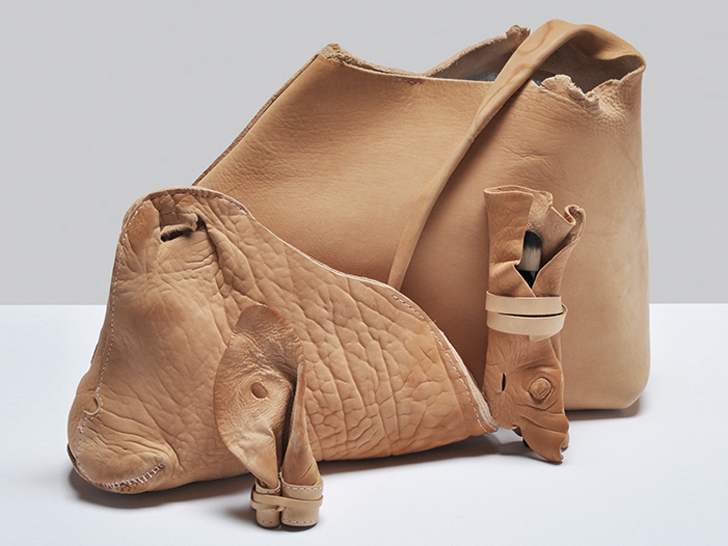 Precious Skin by Victoria Ledig is a unique collection of handbags made from unusual cow body parts that not only shows how much of each animal is wasted, but also how well-disguised leather products often are. Heads, tails, ears, and lower legs, all of which are unmistakable parts of a dead cow, were used to construct the bags. The upcycled materials help to create value from something that used to be considered waste, while the designs themselves force people to reevaluate their opinion. This is eco gone completely wrong, what a disgusting idea and not applaudable at all. Where's your better judgement?? Eco has to be vegetarian otherwise you are utterly hypocritical. The impact of the meat industry on the environment is proven to be heavy. I totally agree. How distasteful and as a vegan not just for the animals but also for the environment the meat industry is so damaging. I can't see how using a few more bits of skin will help other to make people feel a bit sick looking at these vile products. Maybe they'll go veggie? 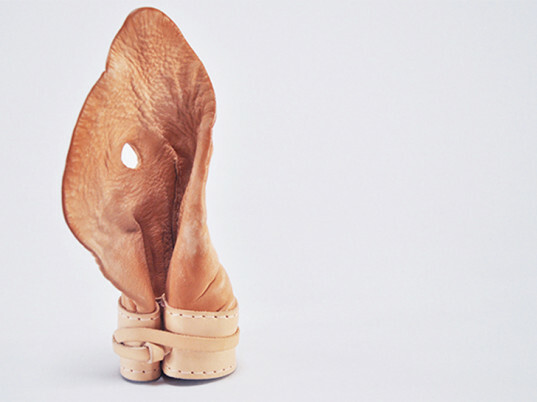 Precious Skin by Victoria Ledig is a unique collection of handbags made from unusual cow body parts that not only shows how much of each animal is wasted, but also how well-disguised leather products often are. Heads,�tails, ears, and lower legs, all of which are unmistakable parts of a dead cow, were used to construct the bags. The upcycled materials help to create value from something that used to be considered waste, while the designs themselves force people to reevaluate their opinion.